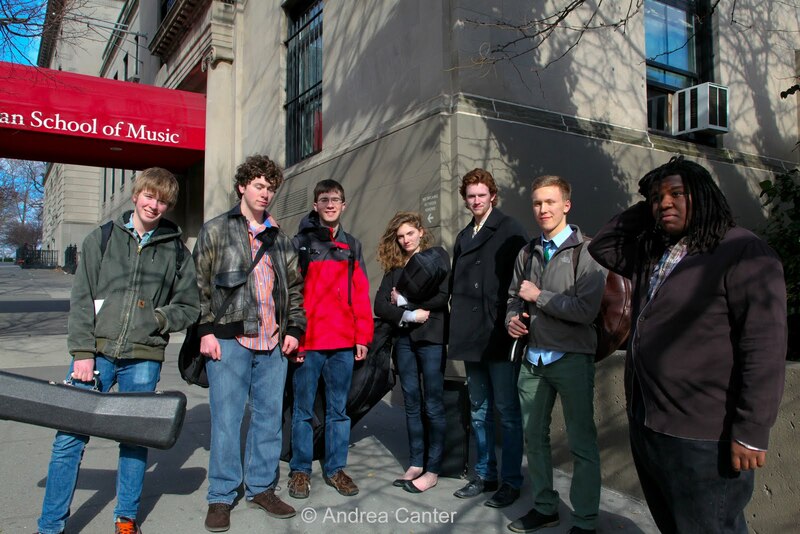 I promise a full post by the end of the week, but wanted to announce that the Dakota Combo, the premiere high school jazz combo in the Twin Cities area, competed this weekend in the third Charles Mingus High School Band Competition held at the Manhattan School of Music. There were 12 bands selected from applicants, three in each category of combos/big bands, regular high schools/special music schools. Only two bands of the 12 came from outside the New York/Boston area. 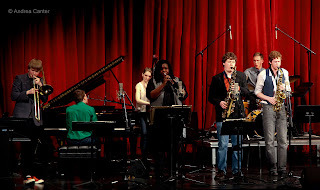 I've been an advocate for the Combo since its first auditions five years ago, as a member of the Dakota Foundation for jazz Education Board which funds the program in partnership with MacPhail Center for Music. Each year the band brings a unique personality to the music, and I could not imagine a better group to study and perform the music of Charles Mingus. First, the Combo is directed by bassist Adam Linz, a devotee of Mingus's music and long-time Mingus scholar. 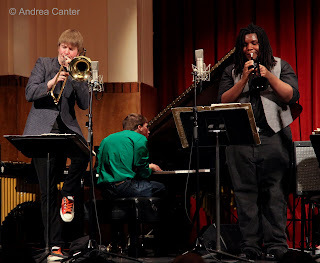 The 2010-2011 edition of the Dakota Combo has a joyful spirit, great camaraderie, and a lot of creative energy. That combination was in full bloom during the final performances earlier today, with judges Gunther Schuller, Vincent Herring and Boris Kozolov listening attentively. It was not just our core of parents cheering the solos and ensemble efforts -- something about the Combo seemed to catch on throughout the audience of other bands, area students and families. In the end, the Dakota Combo was awarded the Mingus Spirit Award for the combo divisions. It was exactly the right recognition. Jazz, and particularly the music of Mingus, is not about competition, it is about feeling the music, feeling the spirit of invention, of interaction. There was no other band today that captured that spirit as well. And these seven musicians were way on top of their music. To those of us who have followed them all year, they topped it all. 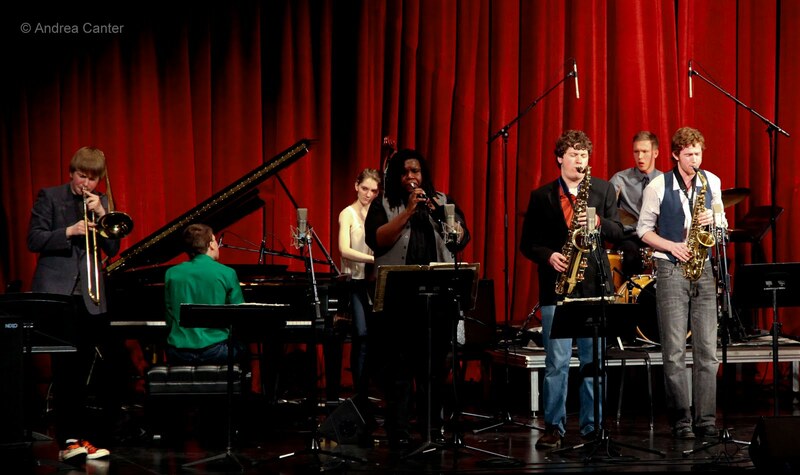 At the same time, the National Endowment for the Arts announced it will discontinue the NEA Jazz Masters recognition following the 2012 round. It seems an odd juxtaposition -- hearing about a hundred of the nation's best student musicians, many of whom will go on to be "masters" of the art, and learning that those who have reached legend status will not longer have this highly respected recognition. We need to honor our top jazz artists at all levels. This week I have seen the masters of Oregon (Ralph Towner, Paul McCandless), of the Joe Locke Quintet (with Geoffrey Keezer), Buster Williams, Paul Motian. But most inspiring - the Dakota Combo. 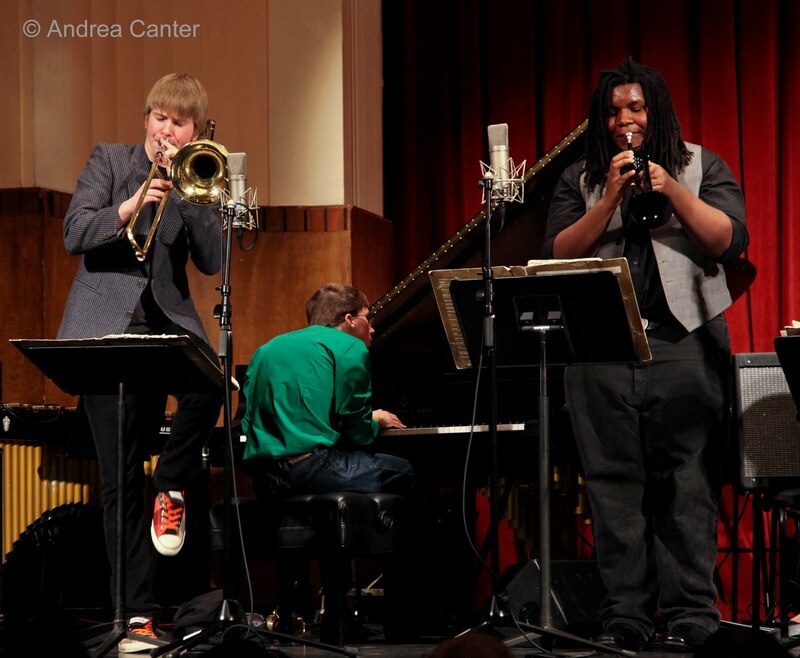 With or without the NEA, jazz has a bright future.